I recently had the pleasure of working with Gwendolyn, the owner of Simply Chickie! 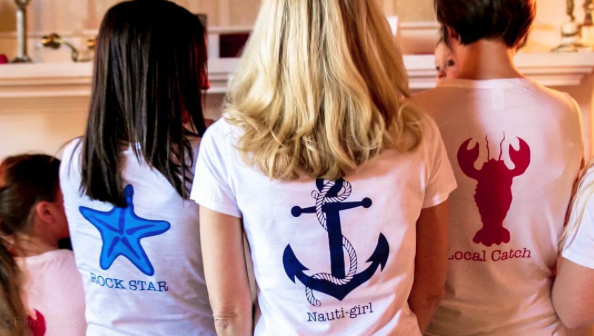 She makes children and women's tee shirts that are 100% organic, made in the USA, and GOTS certified! Not to mention some super cute designs. With summer on the way, any beach lovin' chickie is gonna love ALL of these! 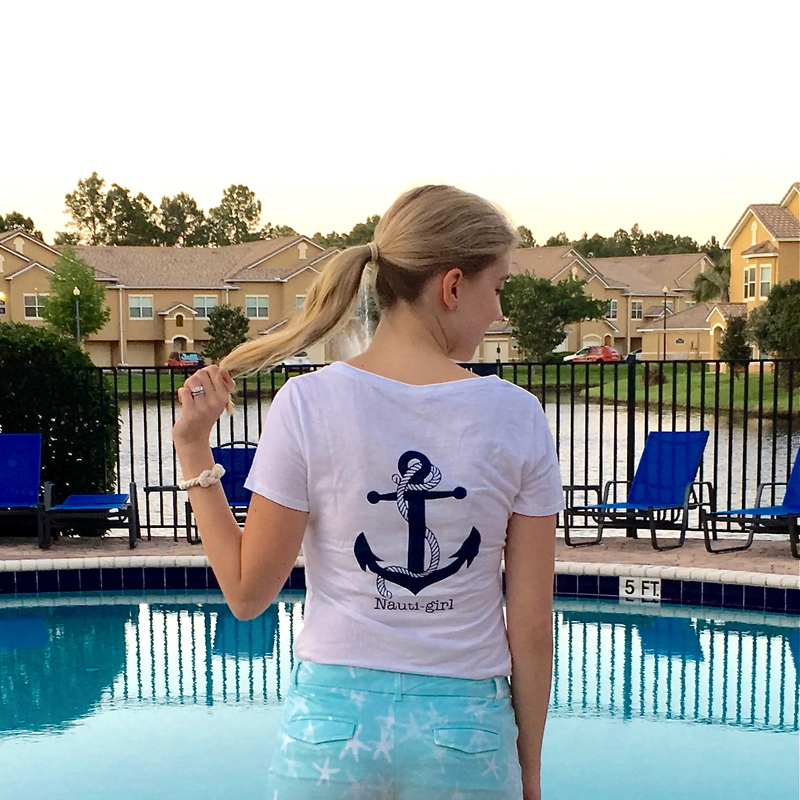 It was hard to decide which design to go with but I pretty much adore anything with an anchor on it so I had to go with the 'Nauti Girl' option! 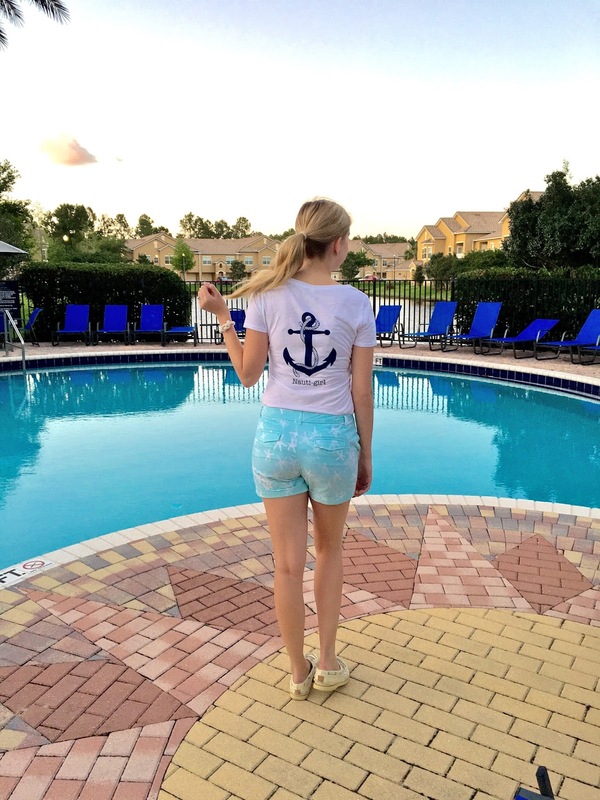 I paired the tee with some Banana Republic shorts I got last summer and off-white canvas Sperry's. 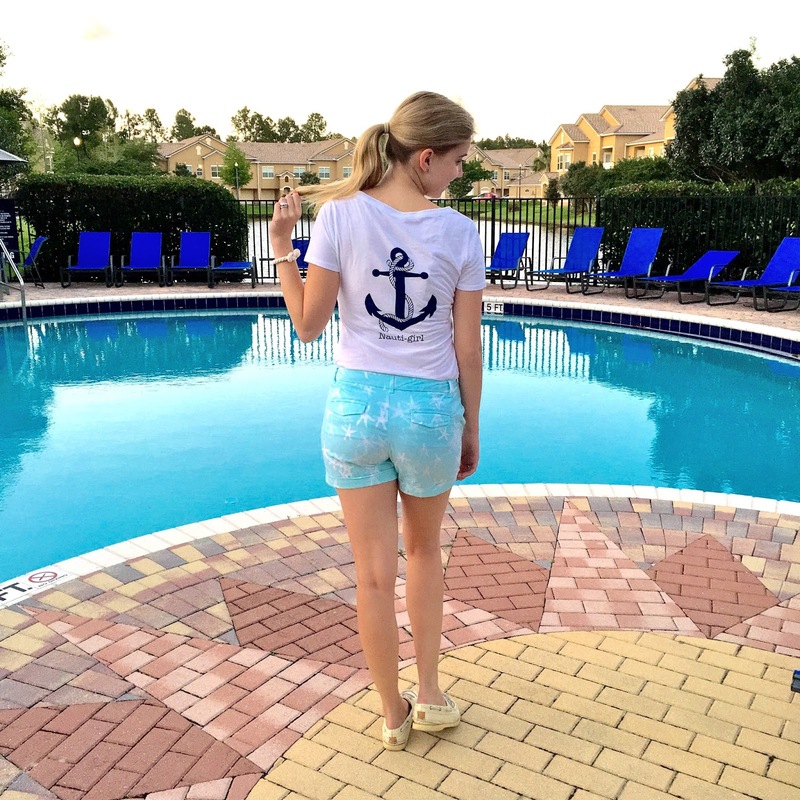 The shorts go along with the whole nautical theme with a fun starfish design. 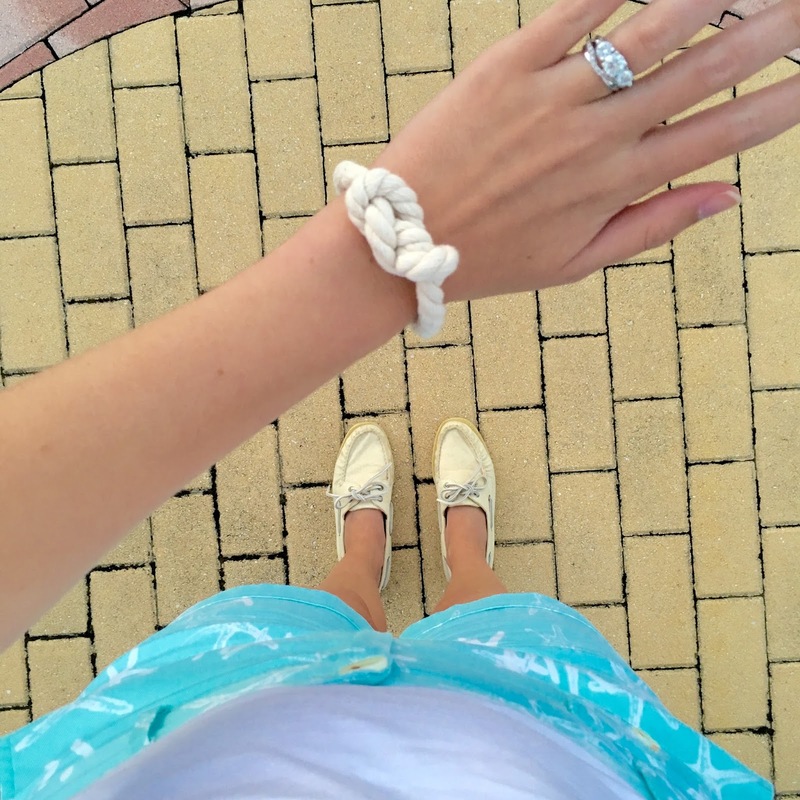 I couldn't help but finish off the look with my knot rope bracelet! Which Simply Chickie tee is your favorite? Tee shirt courtesy of Simply Chickie.